Posted in: Crime Prevention, Crime Stoppers, Media Release, Reward. Tagged: Pace. Franklin Police are warning pay-at-the-pump customers, after sophisticated credit card skimmers were discovered on two gas pumps. An alert manager at the Daily’s Shell, at 1316 Murfreesboro Road, made the discovery while performing a routine inspection, yesterday. The devices discovered were a bit more elaborate than the false-faced devices that we often hear about, fitted over actual card readers. These were placed inside the pumps, behind a locked door, and wired to the pump’s actual card reader – making them completely undetectable to consumers. Detectives believe that whoever placed the devices may have been accessing consumer credit card information in a nearby parking lot via a wireless receiver. Stolen credit card information is often immediately used for Internet purchases, or encoded onto counterfeit cards and quickly used at brick and mortar stores. These devices appear to have been in place for up to the last 12 days. 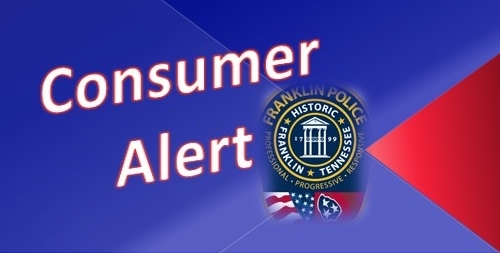 Anyone who used a credit card to pay at the pump at this location should check the activity on the credit card they used, and immediately report fraudulent purchases to their credit card company, and Franklin Police Detectives at (615) 794-2513. A cash reward of up to $1,000 is being offered by Franklin Police and Crime Stoppers for information in this case. Tipsters always remain anonymous: (615) 794-4000.